I would like to share with the readers, a foolishness I went through a few years ago, which, nonetheless, enabled me to gain a better insight into some of the ways our fellow creatures — the jinns — operate. The experience needs to be narrated to a wider audience because, I believe, by sharing it with others, a number of such important conclusions could be drawn that might help many people in appreciating how Satan from amongst jinns operate. It is important to know more about them because we humans are attempted to be led astray by this other existence (jinns), which along with their counterparts amongst men, those of them who are engaged in the struggle to promote evil, have been described by the Quran as Satan1. It was a few years ago when I was informed by one of my students that he was in contact with a jinn. He asked me if there was anything wrong in contacting a jinn for reasons which were not un-Islamic. My immediate response was that there wasn’t anything objectionable, since the Quran tells us that, like in the case of humans, there were both good and evil individuals amongst the jinn as well.2 The next time I met my student, I was offered to avail the possibility of getting in touch with a pious jinn myself. I was reluctant to begin with, but on second thought, I got convinced by the argument that if the jinn, as reported, was a pious one, then getting in touch with him would probably be no different from the possibility of making another good friend. I must admit that the suggestion of getting in touch with a Jinn started making me feel excited, and, perhaps, the excitement influenced my decision. And thus I started contacting the jinn, who, I was informed, was named Usman. I was asked to recite a few verses of the Quran, whenever I needed to get in touch with him, and then ask Usman Sahib to appear, and he would appear before my son, who was fourteen years old then. My son would have his eyes shut and would tell us that he could see a bearded, old man who was responding to all the questions that were put across to him. Thus, I didn’t used to listen to the jinn directly. My son was the medium. My son wouldn’t need to mention my questions to Usman Sahib, who would just know himself what was being mentioned. Of course, my son would mention to us what Usman Sahib was saying, since we wouldn’t hear him directly. One of the immediate things that Usman Sahib demanded from me was to place a praying mat on some corner of the house for him, so that he could pray to the Almighty whenever he felt like. This initial demand immediately earned him a lot of respect from me, and I felt reassured that I had not taken an incorrect decision. During the initial stages of this contact, we used to call him many times each day and talk about all kinds of imaginable topics. The answers we would get would sometimes be vague, sometimes clear and understandable, and sometimes too far fetched to be acceptable. I asked him once, for instance, whether there were prophets amongst jinns as well, to which he responded in the affirmative. I asked him if they too had already received their last prophet, as we humans had, he again responded in the positive, but clarified that their last prophet died only five hundred years ago. He also gave his opinion that even though the finality of prophethood was an established part of our (human) creed, we should not be too sensitive about it. He mentioned that the Ahmadis were also good people and that they too should be accepted as good religious souls. It would be useful to narrate an experience of Usman Sahib to show that if I was convinced by the authenticity of the visions that my son was viewing, there was some reason for it. One day, my family and some other relatives got together in our place. We got in touch with Usman Sahib. On inquiring, he informed that he knew French. One of my visiting relatives, who knew French a bit, asked him a question in French. The reply mumbled by my son on behalf of Usman Sahib was ridiculed by the relative, because whatever was uttered was at least not French. Being hitherto impressed by Usman Sahib’s apparent piety, I was upset at my relative’s behaviour. I asked Usman Sahib to mention the meanings of the statement that was communicated to him in French, and he gave the correct meanings. It was surprising for my relative as well, because it was well known that my son had no idea of French. In another incident in the same sitting, we asked Usman Sahib to call up the vision of somebody we all knew. That somebody was called up and my son could see him.4 We asked him what was the medical problem with the gentleman, and his answer was spot on. It wouldn’t be out of place to mention another rather weird piece of information passed on to us by Usman Sahib. He informed us that my grandfather, about whom we as yet knew that he had died in a bomb blast in Singapore in the Second World War, was, after all, not dead. The fact that no body could actually confirm deaths of people who were targeted by a bomb in a building, led us to consider the possibility Usman Sahib had thrown across as at least probable. Usman Sahib also informed us that my grandfather was still living in the jungles of Kelantan, a northern state of Malaysia. As one might predict, we immediately demanded that my son be shown my grandfather. Thus my son had the vision of his great grand father. He informed us that he could see an old man with a white flowing beard, who, despite his age, was looking remarkably active. He was seen cutting wood in the forest and he seemed to be living alone in a nearby cottage. My son informed us that his great grand father was called Syed Sahib by the people of the nearby market, where he would go to sell his wood every week to make a living. In one of my son’s visits to this Kelantan’s jungle during the night, he saw Syed Sahib sitting close to a cabinet. On nudging closer to him, my son saw him looking with intense concentration at a group photograph of a family, which, apart from a husband and a wife, had five children, of which three were daughters and two were sons. That was exactly what the composition of my late father’s family was. Again, my son at that time had no idea about the details of my father’s family. Thus the mystery of Syed Sahib’s survival grew thicker. I still had a nagging feeling that all this Kelantan’s business and the information that was being thrown across at us was too far-fetched to be considered credible. But then there were enough evidences to support the view that the possibility of it being possible couldn’t be easily rejected. Then came, perhaps, the turning point of this, by now, intriguing experience. I had been wondering all throughout the period of my contact with Usman Sahib as to how could it be possible for a jinn to enable my son to have a live view of events that were happening elsewhere. I mean: was it something similar to the live television transmissions that we are now so used to witnessing? I made a firm resolve to test this possibility empirically. Next evening, I asked Usman Sahib, of course, through my son, to inform us what a certain gentleman, who was known to us, was doing at his home. My son didn’t know what was in my mind. Usman Sahib enabled my son to see the gentleman sitting in his bedroom and doing something that my son described to us. I had asked someone to talk to that gentleman on phone while my son was on his ‘trip’ to his home. It so happened that while I knew that the gentleman in question was talking to somebody on phone, it somehow escaped the live ‘telecast’ which My son was given to witness through the courtesy of Usman Sahib. That inconsistency convinced me that there was something extremely sinister in this whole viewing business and that it was something very cleverly concocted by this jinn of ours, who, I by then got convinced, had cleverly named himself Usman. The student who had introduced me to this Jinn, later confirmed to me that he too knew that these creatures had the ability to create images in the minds of humans which appear very close to reality. If you kindly bear with me, I would want to narrate, very briefly, experiences of two other people, which are important for some of the conclusions that I would like to draw at the end of this article. A gentleman who was pursuing a very successful career in Saudi Arabia, got entangled with a jinn because of his own fault, in that he invited him, and when the jinn responded, the troubles of his life started. He had to leave his job, and was in considerable mental anxiety and physical pain for quite sometime on account of what he was going through because of this invisible existence. The gentleman met me on several occasions. The last time I saw him, he looked much relaxed and apparently ‘out of trouble’. On enquiring as to how he had a change in fortune, one of the important reasons he mentioned was that ever since he started visiting the shrines of some of the sufi saints, his troubles with jinns had subsided. He lamented the fact that many people didn’t believe in the power of those noble men, but he had himself experienced the effect of their influence on the over all scheme of things of our existence. To convince me, he narrated one of his experiences. He said that in one of his visits to the tomb of a saint, he was asked by a beggar to help him. He scolded the man away, and, as he claimed, he approached ‘Baba Sahib’, the dead saint, in his spiritual communication with him, and complained to him as to why he was being disturbed in his shrine by a beggar when he himself was out of job. However, later, he said, he felt a little embarrassed on not having helped the beggar, who, after all, had demanded a very small amount from him. Very soon, he confronted the same beggar again, and the narrator of this story immediately offered him money, which the beggar declined to accept, explaining that ‘Baba Sahib’ had already told him not to disturb him (the narrator) by begging money from him. This incident was one of the many experiences he had gone through in these visits to the tombs that convinced him of the super- natural powers of the dead sufi saints and in their strong influence in the running of the affairs of our world. Another gentleman, who is nearing his retirement, narrated to me many of his experiences of his Pir Sahib, who is able to show all his disciples that the religious pledge (bai‘at) that he takes from them is in reality taken by Pir Abdul Qadir Jilani of Baghdad. He says confidently that it is not just his own experience but that of all other disciples of his Pir Sahib that after conducting bai‘at, they are shown in their vision, with their eyes shut, that they are actually doing bai‘at at the hands of Piran-e-Pir (the Pir of the Pirs i.e. Pir Abdul Qadir Jilani). The disciples are then taken after this experience to Madina Munawwarah to do Ziarat of Rauza-e-Nabwi (the grave of the prophet, sallallaaho alaihi wasallam). I had no problem in tracing the origins of these visions, given my own experiences of ‘Usman Sahib’. 1) The Satan from amongst jinns very cleverly take humans into their confidence before enticing them to the wrong path. The request to place praying mat for him by Usman Sahib in my home was an example of this clever strategy. 2) They are able to impress humans by disclosing to them information which is unlikely to be possessed by any one who has not been allowed to share it. This ability of jinns owes itself to the fact that they can read what’s there in the minds of the humans who have contacted them. For instance, the fact that my grandfather was killed in a bomb blast was in my mind, wherefrom ‘Usman Sahib’ could have easily picked it. Likewise was the case of the information about the medical problem of the gentleman who was asked to appear. 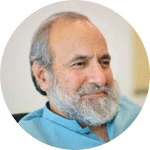 Interestingly, although he could not answer the French question, ‘Usman Sahib’ could know its meanings, because the questioner’s mind was there for him to read from. Thus, many naïve humans are lead astray by the fact that they experience that there are some apparently extraordinary people who are able to tell them about such details of their past which could not normally be known to anyone. This could only be possible if one were in direct contact with an ‘Usman Sahib’. Obviously, jinns do not know everything about the unseen. Because of their mind-reading ability, their information about the past can be almost perfect, but since they do not have the same facility for the future, their predictions there are very likely to be much less accurate. Indeed, they do have their limitations. But they know more than us about certain aspects of this material life, as indeed we must be knowing more than them about certain other aspects of it. However, their ‘advantage’ of invisibility gives them the edge, which helps them in their game of deception. 3) They pick our weaknesses to induce us into evil ways. Many a times I felt that ‘Usman Sahib’ was setting a trap for me to fall into by making dubious statements. For instance, he once declared that a certain place, owned by one of our relatives, was worthy of high reverence, because, long time ago, a prophet was born there. Obviously, it was a trap meant to entice the target to fall into it. If the response from our side would have been positive, he would have jumped at the opportunity to make a mountain out of this mole. 4) The biggest assault Satan makes is on the belief in unity of God. That is what ‘Usman Sahib’ attempted in his ‘prophet’s birthplace trap’, but, alhamdulillah, failed. 5) Satan has the ability to create images, which appear real, if one allows oneself to be deceived by the great deceiver. There is no reason to be impressed by the kind of remarkable stuff many people claim to have viewed in their visions. 6) Satan doesn’t mention everything wrong. He mixes good with evil so that men get confused and thus the way is paved for evil to prevail. 7) The Almighty has, generally speaking, kept us secured from the direct manipulation of jinns, unless we foolishly allow them to interfere in our affairs. I committed that blunder and paid the penalty, and so did the gentleman from Saudi Arabia. 8) As soon as one realizes that one is being influenced by Satan, one should immediately seek refuge in the Almighty, or else it is very likely that Satan will win over our confidence and would take us to the farthest corners of ignorance. 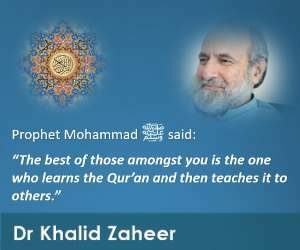 9) Most of the misplaced confidence of the people in their beliefs who are misguided from the straight path of Islam, as is mentioned in the Quran and Sunnah, are the ones who feel confident through their jinn-inspired experiences of a world that doesn’t exist but is made to appear as if it actually does. Most of the misguided religious people mention their confidence about their espoused religious beliefs on the basis of their visions, which are by and large inspired by Satan. I personally know Sufis, Ahmadis, Born-Again Christians, Mormons, who all have definite experiences to narrate to prove that their religious views are correct.5 I am sure that many misguided religious people from other groups also make similar claims. 10) There is no certain religious source of knowledge under the sky except the book of Allah, the Quran, and the religious example of his prophet, the sunnah. Everything else is subservient to these sources and should only be accepted if it doesn’t contradict the guidance contained in them. May the Almighty secure us from the evil ways of Satan, the great deceiver. Question: How did you break relations with that jinn. Did he bother you after that? Answer: There was a process of calling him. When I realized that he was evil, I stopped calling him, and my communication with him has stopped ever since then, at least in that form. He probably might have tried to harm me indirectly (I mean, through the better known Satanic way) but, alhamdulillah, there has been no direct disturbance. Probably, he belonged to a more ‘decent’ class of jinns. Question: It seems Usman Sahib was a deceiver. Have you entertained any pious Jinns? Answer: As I have mentioned in my article, I approached Usman Sahib with a hope that he would turn out to be a pious jinn; however, I found him to be otherwise. There is not doubt that there are pious jinns as well, but I have a very strong feeling that they don’t establish communication with men in the manner I tried. If the Almighty arranges for them to serve some pious men in some special way, as was done in the case of Sulaiman, alaihissalaam, then it is a different case. My experience has taught me that because they are invisible and because we know very little about them, there is a great danger that whenever we will attempt to get in touch with their unseen world, we will be deceived. Our test of this life is that we should believe in the unseen realities of God, divine revelation (wahi) sent to the prophets, life hereafter, angels etc. The very idea of making an effort to peep into the unseen world, although perhaps an outcome of human curiosity, is extremely dangerous. We should remain within our human limits of this seen world and learn about the unseen one only through the Quran and sunnah. The unseen realities discovered by science like x-rays etc. are different in that they can be fully explained. What cannot be scientifically explained through a clear cause and effect relationship should be considered a no go area, or else Satan will get an opportunity to lead you astray. Question: But if Jinns can harm us what would be the antidote? Many humans are bothered by them so they resort to Peers to help them get rid of them. You do not necessarily have to be their ‘mureed’ for that. Although I don’t rule out the possibility of an outside party being useful in getting rid of the influences of jinns, I must warn you that it is a very dangerous business. We don’t know who is genuinely sincere in his efforts and who is doing it for his ulterior motives. One can be often misled by appearances in these cases. Since those who are allegedly thought to possess cures to such ailments are considered gifted with extraordinary non-physical abilities, there is every possibility that their ability is exaggerated, even if they are not doing anything deliberately wrong. However, if someone is confident that he/she would take adequate measures not to be influenced by the ill-effects of this process, then outside help can also be considered in the more serious cases. One should however be extremely careful in avoiding all traces of shirk or bid’ah (religious innovation) in the entire process. Question: If Jinns can possess women who go to graveyards wearing perfume, then can psychiatry help them? Sometimes Pirs may help for they might have the art to do so. Answer: It is for the psychologists and psychiatrists to decide whether they can be of any help in these cases. Probably, they will have to first agree that there are jinns involved at least in some such cases. I also feel that the discipline of psychology can help even without a formal acknowledgement that jinns are involved in some disorders, because the involvement of these creatures is only indirect and invisible, and the harm they cause is something the experts can observe. If they start working on the cure, it can still be effective. It is for instance not always necessary for a doctor to know what caused a certain injury to the patient for him to cure it. A heart specialist would not always know what domestic problem caused the anxiety in his patients which was the ultimate cause of the problem. He can start curing on identifying the apparent condition of the patient. Going to a Pir for curing the problem is however a completely different ball game. There, you have no known rules. Everything is based on a mysterious trust in an individual, whose modus operandi and motivation are both completely unknown. Moreover, they are very likely to cause religious harm, which one ought to avoid under all circumstances. Therefore, one should be very careful in going to them. Question: Even though, your conclusion was much in contrast to the entire text of the narration (and relieving too! ), I cannot help but think that the entire episode only serves to strengthen the theology of the sufis. After all, upon discovering the discrepancy, you tried to stick to your “pre-beliefs”. If the sufis acquire much knowledge that is reliable, then you cannot really argue with them over the fact that they acquire the unreliable as well. They’ll want consistency in their beliefs as much as you would like in yours. My only point is: it was your ‘imaan’ prior to your expeditions that got you back on track. ; on the other hand, if a sufi disciple (nurtured under a different ‘imaan’ claimed to be “non-shirk”), then he’ll just end up strengthening his beliefs. How does he know it’s Satan? How could the Christian lady tell it was not the holy spirit? Answer: You are assuming in your question that all humans are primarily born idiots, who have no idea whatsoever as to what is right and what is wrong, at least in the religious sense. People believe in one thing or the other without any good reason, probably because they are born in a family where they find an ideology, which they start believing in or probably they like the beard of the person whose beliefs they then start admiring. On the contrary, the Quran is very emphatic about its claim that man is born with a clear conscience and a sound intellect which enables him to distinguish right from wrong. Those who follow the wrong path don’t do so because they were cleverly misled by someone while they were innocent and had no way to know that they were being deceived. People start following the wrong path, despite knowing from inside that it is wrong, because of their weaknesses and worldly temptations. In case, if there are some people who are misled despite their good intentions, the Almighty, hopefully, will excuse them. I therefore believe that my article doesn’t serve to support the case of Sufis. If a Sufi is a Muslim, he ought to bring the proofs of his religious claims from the Quran and Sunnah. If he will bring any proofs for his religious ideas from his own ‘spiritual’ experiences which go against these sources, I have no doubt that the Almighty would inform him that the source of all such experiences was Satan, the great deceiver. Question: I am not really convinced that the Sufis ever get “in touch” with anything (Satan can harm man otherwise as well…right?). Either these are hallucinations, or…they’re money-making ventures. Give me the name and location of one Sufi today who does not “run” Sufism but who, rather, “practices” it. Answer: How can you claim that Sufis cannot get in touch with anything like what I have mentioned in my article? This information can only be passed on to you with unchallengeable authority by the Almighty Himself, because no one else has the knowledge of all that is hidden. I can’t know the hidden motivations of anyone. How can I decide whether a person is telling the truth or not when he is claiming to have gone through some experiences. For someone who hasn’t gone through them to claim that they don’t happen is similar to the claim of a person who denies the fact that man has reached the moon because he himself didn’t have the pleasure of landing on it. Question: Whoever these “things” are, they can, at best, provide us with some facts about the past. A similar event ¬ though much shorter in duration and much less serious in commitment ¬ occurred while I was at a friend’s place some four (or more) years back. They had this famous “witch board” and they would ask questions about their pasts that only the inquirer and no one else was aware of. The answers came by way of a bottle cap moving across the lined-up alphabets on the board. The past was fine. I am not sure about others but I remember I reluctantly asked a question about the future: “when would my sister get married?” “2000”, it pointed out. Well… (the answer was incorrect!) My only point is: while I can trust you for speaking the truth about your experiences, I cannot agree with your statement, which is as follows: “Most of the misguided religious people mention their confidence about their espoused religions on the basis of their visions, which are by and large inspired by Satan. I personally know Sufis, Ahmadis, Born-Again Christians, Mormons, who all have definite experiences to narrate to prove that their religious views are correct.” With all due respect, I wouldn’t believe these men were being earnest in their claims beyond the possibility of them getting hallucinations (perhaps due to their ‘imaan bil ghayb’ of their revered but ‘ghayb Sufis’). Answer: I believe that the ‘ switch-board’ experience of yours and the many similar experiences where spirits of the dead are called have all got to do with jinns. No spirits can come back to this world. It’s the jinns who fool men by pretending to be spirits. 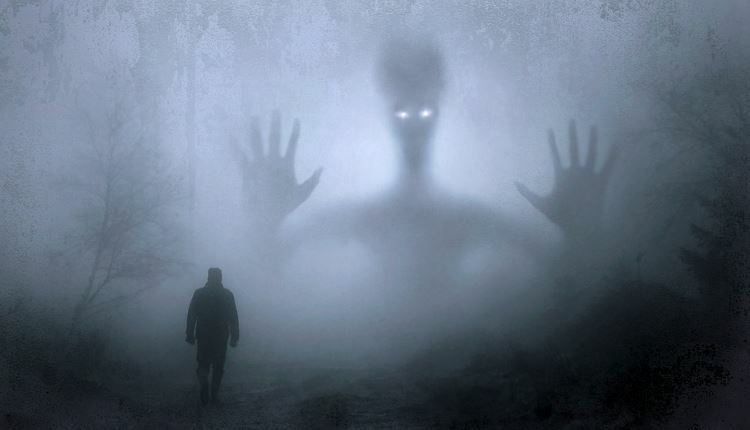 Since people can neither see spirits nor jinns, they fall into the trap of believing that what they are witnessing, hearing, or otherwise experiencing are the spirits of their dead relatives. I agree with you that they know nothing about the future. They are able to tell accurate information about the past because, as I have mentioned in my article, they can read our minds. As for the other part of your question, I would request you not to speculate unnecessarily in matters which you are not fully aware of. Question: Do you honestly believe in the claim of “Usman Sahib” on a different last messenger for the jinns than for the humans? Because if you do, would you accept on a different Quran (or whatever scripture) as well? Answer: As soon as I realized that the ‘person’ I got in touch with was Satan, I ignored everything that he had mentioned to me. To me, whatever he mentioned doesn’t deserve to consume even a single second of a believer’s time. na’udhu billahi minhu. Question: Please, kindly, point out the inferences in the Quran where it is mentioned that such experiences are one way of seriously diverting men from the right path owing to their own attitudes, I shall gladly accept your rather sympathetic view of the Sufi breed. But so far, I cannot accept. The primary reason being that even the men who came to proclaim Christianhood for themselves (the holy spirit and all) are clearly asked in the Quran to bring forth an answer for their divergence ¬ for contaminating the teachings of unity by Jesus Christ. I am asking this in view of the Christian teachings today which are nothing short of Sufism. Where have the Christians responded with claims of such “expeditions”? Was such an answer provided? When the Jews are asked questions, their false ‘hujjats’ are addressed with a great and perfect rebuttal. If these ‘expeditions’ were experienced by the ones who claimed to be Christians, they should have come forward with this like-minded excuse. And if they did, it must be in the Quran, somewhere? If I hold the wrong approach, please do correct me. Answer: I have already mentioned that my article in no way is an attempt to defend the cause of Sufism. However, I don’t want to earn sins unnecessarily by claiming that Sufis are liars. When the gentleman nearing retirement came to me telling me about his experiences, I told him that I believed every word of the apparent form of his experience, however, I had serious differences with him on the interpretation of their reality. I had no reason to claim that what he was describing to me was a deliberate lie and that he was trying to deceive me. The above passage is informing us the Sameri, the great criminal who initiated the process of shirk in Bani Isra’il, didn’t present any logical or scriptural arguments to justify his crime, instead he presented a ‘ spiritual experience’. Musa, alaihissalaam, didn’t entertain it as a valid reason. He just pronounced the verdict of punishment on him. Answer: To my understanding, the following is one of the verses that suggests the understanding that I have mentioned in the above-quoted passage: “That is how we have made for each prophet opponents, the devils among men and jinns, who instruct one another in gilded talk of deceit. But if your Lord had pleased they would not have done this. So leave them alone to the lies they fabricate.” (6:112) One can imagine the gilded talk of deceit originating from the devils among men, but in what form would they emerge from the devils among jinns? My understanding is that it could take different forms, including whispering of evil ideas in hearts and experiencing of such visions as I have mentioned in my article. 4. It was later explained to us by Usman Sahib that it is possible to call up the vision of an individual, because each person has a companion amongst the jinn who is called his ‘qarin’. Each person’s ‘qarin’ is the identical copy of the fellow human and calling him up is no different from calling up his human counterpart. 5. While studying in Britain, I used to be visited by a devoted Christian couple. After several visits, I suggested to them that they should take a copy of the Quran and read it carefully, while, I promised, I will read the Bible carefully. I also asked both of them that they should earnestly pray to their God during the week that if the Quran was His book, He should open their hearts for it. I promised to them that I would do likewise for the Bible. On the next visit, the lady admitted that when she made an intention to pray to God as promised, she was visited by the Holy Spirit, who reminded her that she was not allowed to do what she had promised. Obviously, it was her opinion that the one who approached her was the Holy Spirit. In view of what I have mentioned in this article, you can well imagine what the reality of that visitor was.